Okay so we all know how much I love a good challenge. What we didn't all know is that I really, really, really don't like neon colours. I dislike ('hate' just always seem too strong of a word) them with a passion LOL! Perhaps because I'm a child of the 80s? But as we do know, I love a good challenge. This is D-lish Scrap's inspiration board this month ..
Aargh! Its neon!!!!!!!!!!!!!!!! But where there's a will there's a way. 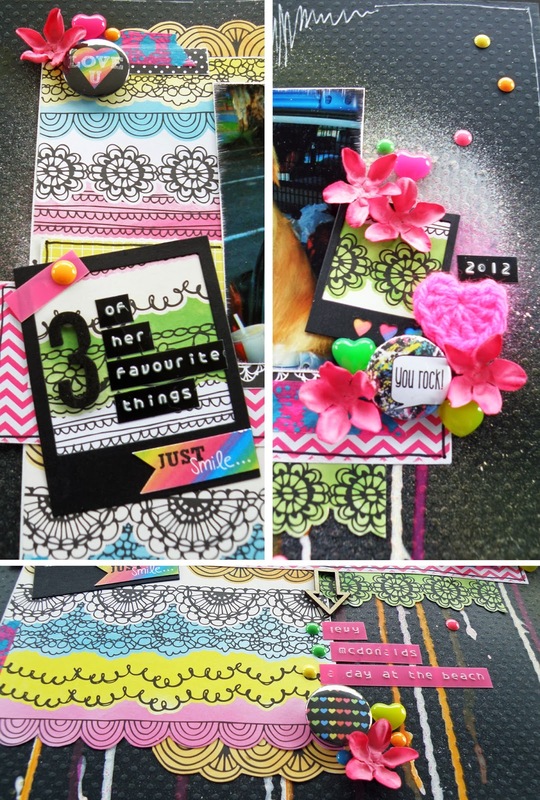 Of course I didn't have any neon coloured anything in my scrap stash so I purchased the D-lish Scraps Just Add Paper Kit - Neon POP! and away I went. 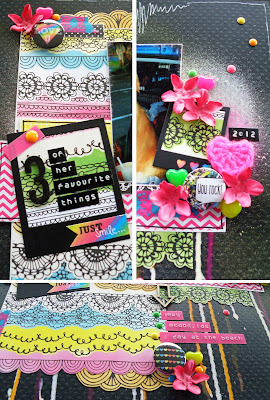 Surprisingly I found some scraps of patterned paper from I don't know what LOL and with some black cardstock to set off the bright, fresh colours I ended up having a lot of fun creating something so extraordinarily different from the 'norm' for me! 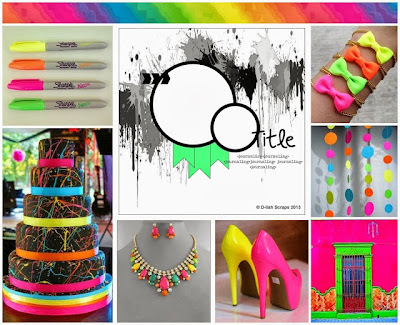 Honestly if, like me, the thought of using neon colours in your scrapbooking makes you cringe (or even gag LOL!!) I really truly, very strongly recommend you give it a go. 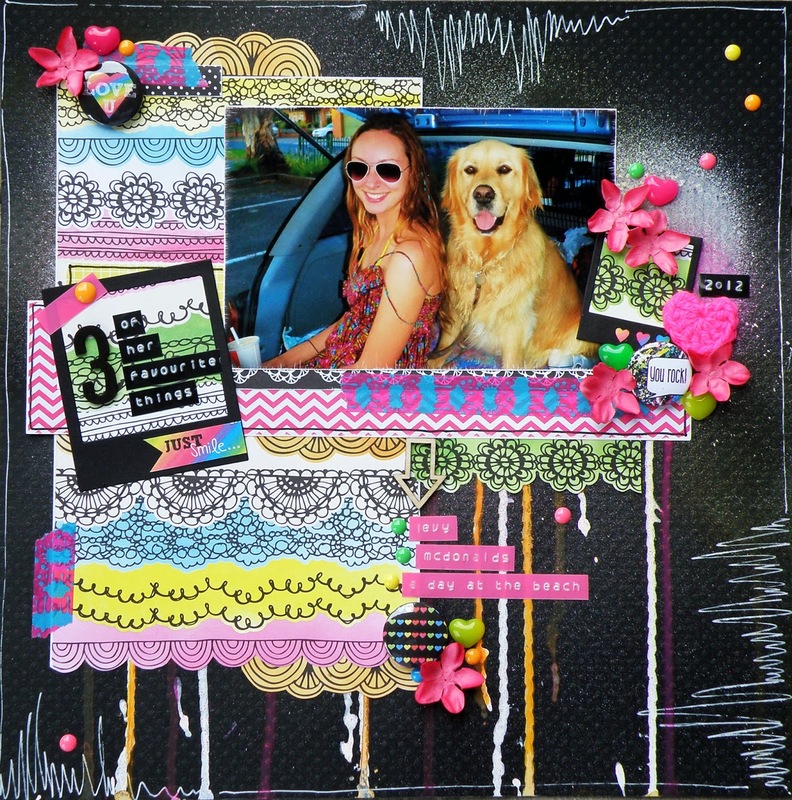 This layout is now firmly entrenched in my favourites list!! !